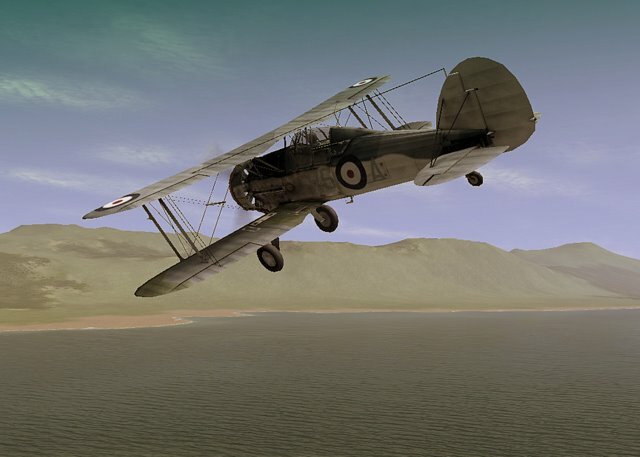 This mod brings you both the Seagladiator by Muas (with Charlie Chap's english cockpit already included) and makes the stock Gladiator I and II flyable with English Cockpits also. This replaces all previous versions of these mods. Users of HSFX or UP dont need this. Additional changes in SAS version : Reticle size increased. Temp & pressure gauges do still read in metric. Opening canopies for MkI and II were not enabled because of compatibility issues with other communities. Sorry! 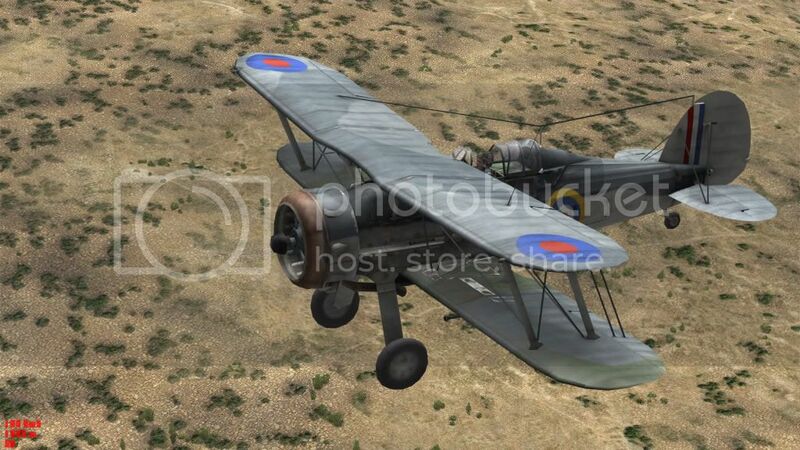 Copy Mods and PaintSchemes folders to your iL-2 root. Install as normal, but dont add the lines below for the seagladiator to any documents. ~and delete the "plane" folder inside the mod in the 3do folder. Nice crate and marvelous skins too . . .
Had to get them, what a joy to fly. Thanks very much CirX for putting these three and CC's great cockpit in one pack/install. Also thanks to Muas, Charlie Chap, and Avala. This mod was originally available with opening canopies. I used to have it, but now I don't anymore as I had to do a reinstall a while back. Getting on to the point ... is there any way I can get a hold of this mod with opening canopies? I understand online compatibility and all, but I am playing offline. And if I am not mistaken, even if I do try and play online it only hurts myself? And even still, What about the offline guys? Offline players can't enjoy the canopies despite the online problem? Anyway, would be really nice to get the opening canopies back. My dream is that one day every plane will have an opening canopy ... I hate to go backwards ya know? The Seagladiators have opening canopies, the stock ones now, because changing those classes and 3d was a drag for me, and so I didnt do it! The 3d and classes between the seagladdies and the regular ones are not the same. Any chance to have some opening canopy? Is the bug fixed? classfile conflict? There´s a small tool for checking those around here, can´t remember the name or topic ATM but do a search.